Jacques de Loustal imposed itself by an atmosphere made of permanence and mystery of the Simenon in painting. 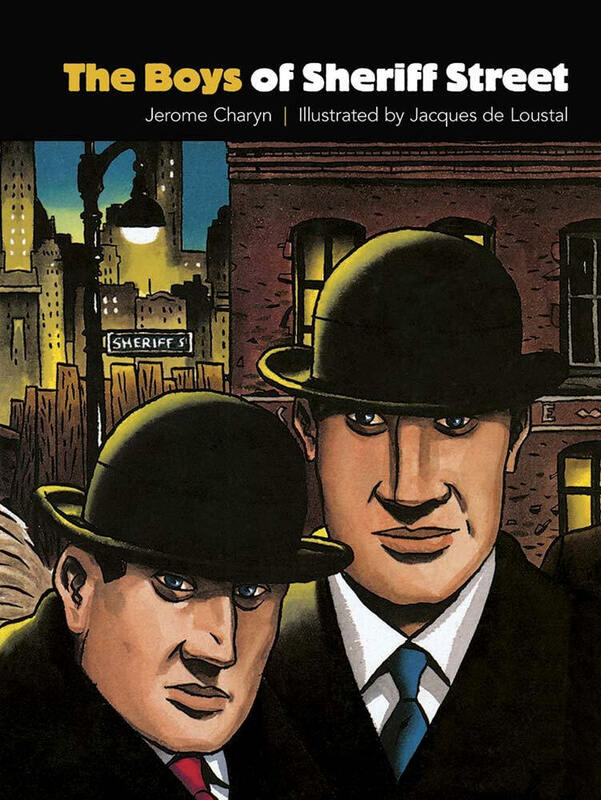 With its moody, atmospheric images of New York City's underworld during the 1930s, this graphic novel conjures up the timeless allure of film noir. Twin brothers Max and Morris, rivals for the love of a savage beauty, conduct a gangland war amid the Lower East Side's tenements and wharfs. Features a new English translation by the author, "a contemporary American Balzac." — New York Newsday. Contains adult material. Called "a contemporary American Balzac" by New York Newsday, Jerome Charyn is the author of thirty novels, three memoirs, eight graphic novels, and other acclaimed works. Two of his memoirs were named New York Times Book of the Year, he has been a finalist for the PEN/Faulkner Award for Fiction, and he was awarded a John Simon Guggenheim Memorial Fellowship in 1983. Charyn has also received the Rosenthal Award from the American Academy of Arts and Letters and has been named Commander of Arts and Letters (Ordre des Arts et des Lettres) by the French Minister of Culture. Parisian Jacques de Loustal began his career as an illustrator of comic books in the late 1970s. His short comics appeared in the Franco-Belgian magazines Métal Hurlant, Pilote, Nitro, Chic, and Zoulou. Noted for a painterly style in the tradition of David Hockney, Loustal has contributed to the magazine À Suivre, for which he created Coeurs de Sable, Barney et la Note Bleue, Un Jeune Homme Romantique, and Kid Congo. Series : Paul Rijperman comics. 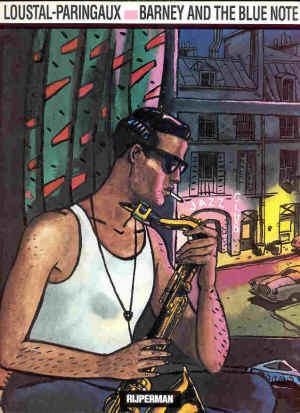 "Barney and the Blue Note - a new landmark in the art of the comic strip"
Loustal-Paringaux presents an underground graphic novel with the usual bigtown stuff - Jazz, women, and cars. 87 pages in color illustration. Soft cover book. Availability: This title is out of print. Although it is no longer available from the publisher. By the late 1980s the masterworks of both European and Japanese crime comics had begun to be published in the USA by Catalan Communications in New York City, (no longer in business, alas). It was Catalan first, and later Fantagraphics of Seattle, who would provide an American audience with the graphic novels of Munoz and Sampayo. 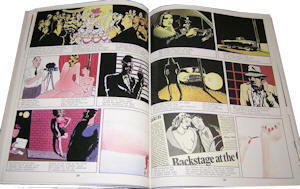 It would be Catalan as well who would first publish the two most gorgeous color artists in the history of noir comics, the Frenchman, Jacques Loustal, and the Italian, Lorenzo Mattoti. 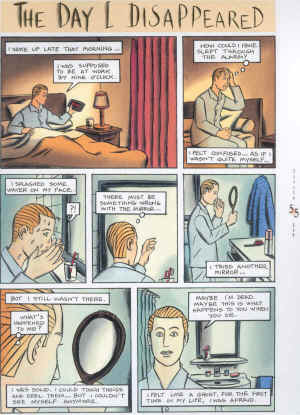 Loustal's Love Shots, and Mattoti's Fires are two authentic masterworks of the postmodern noir comics movement. 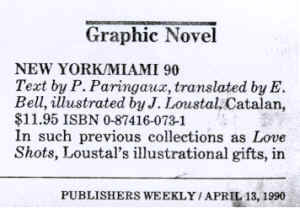 PUBLISHERS WEEKLY/ APRIL 13, I990, Vol. 237 Issue 15, p60, 2p by Kaganoff, P.
Hearts of Sand / Loustal & Paringaux ; transl. [from the French] by Elizabeth Bell ; [ed. by Bernd Metz]. - New York : Catalan, 1991. - 64 p. : gekleurde ill. ; 30 cm Trans. : Coeurs de sable. - Tournai : Casterman, 1985. Library Journal, 6/1/91, Vol. 116 Issue 10, p134, 1p, 2 bw by DeCandido, K.R.A. Invited to Indonesia by the French Institutes for several weeks to present his work in serigraphy, Loustal decided to transform his trip into a work which would combine sketches, watercolors, and paintings. In Java, in the jam-packed markets of Yogyakarta, he says his first strong image was one of two black monitor lizards fighting over a dead fish in a basin. 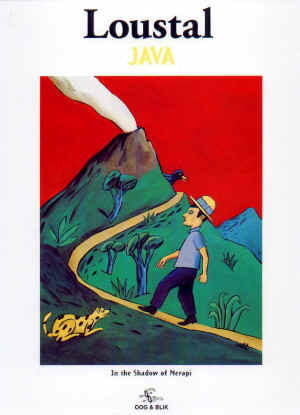 He is also known for his Japanese exercises, drawn each morning of the Merapi volcano, Java's enfant terrible - the glowing clouds and gushing lava which transforms the landscape, the mood of the rice fields. What he expected of her. It's often bizarre, usually weird, occasionally creepy, and always fun. It's Little Lit: Strange Stories for Strange Kids, the second book in the quirky series that began with Folklore and Fairy Tale Funnies. With a roster of writers and illustrators that reads like a who's who of children's lit, this offbeat collection of stories and activities is as eye-catching as it is thought-provoking. Marc Rosenthal offers an assortment of goofy jokes sure to tickle juvenile funny bones, while Paul Auster and Jacques De Loustal get serious with their tale about one man's experience when he steps -- quite literally -- outside himself. Francois Roca offers a picture of a cityscape in which at least 22 things seem oddly wrong or out of place, and for puzzle lovers, Lewis Trondheim has created the fittingly named "A-maze-ing Adventure," a story shaped like a maze that follows the travails of a squatty little character who finds himself trapped inside. From Britain's preeminent cartoonist, Posy Simmonds, comes the story of a vengeful and mean-spirited Mr. Frost, who drives home that old adage about being careful what you wish for. Kim Deitch takes readers along to Katropolis, a world inhabited by cats and powered by dogs, while Pulitzer Prize-winning author Jules Feiffer tells the story of a boy trapped inside a comic book with a couple of battling superheroes. Caldecott-winning author Barbara McClintock follows the adventures of a runaway shadow, while Martin Handford, the author of Where's Waldo?, asks readers to examine a busy full-page picture to try to find 11 odd socks, 10 aliens, and 6 worms. There's also an ugly little girl who hates the fact that she's turned pretty; a baby that eats everything in sight...including his family; a Fairy Godfather with a temporary case of amnesia; and a house that decides to run away from home. The second groundbreaking anthology from the New York Times best-selling team of Art Spiegelman and Françoise Mouly is here! The everyday world is turned upside down and the ordinary becomes extraordinary in this collection of the strangest tales. From Art Spiegelman's "The Several Lives of Selby Sheldrake" to Maurice Sendak's "Cereal Baby Keller" to Jules Feiffer's "Trapped in a Comic Book," these stories are sure to entice any young reader. 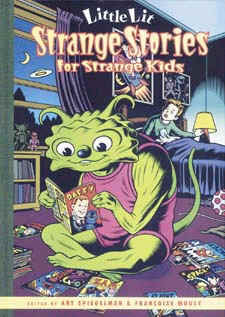 Also included are comics and features by Ian Falconer and David Sedaris, Paul Auster and Jacques de Loustal, Crockett Johnson, Richard MGuire, and Barbara McClintock, a puzzle by Lewis Trondheim, and make-your-own comic-book endpapers from Kaz, Little Lit: Strange Stories for Strange Kids continues the tradition of bring the pleasure of books and reading into the hands and minds of kids. Philippe Paringaux (stories), Bernd Metz (Editor), Illustrated by Jacques de Loustal Format: Paperback, 62pp. Love Shots is a moody, Polaroid-postcard style valentine to an America of Forties and Fifties movie myth and literary legend. The stories capture ironic snapshots of misfits and outcasts, spanning the wide land as it bares the depths of its inhabitants' wounded souls. A uniquely American vision from two frechmen. Painted color interior. Beautifully drawn and painted art! Joe`s Bar. By Munoz and Sampayo. Powerful b&w storytelling in the tradition of Hugo Pratt. Hurricane: Stella Norris 1. By Baldazzini and Canossa. Set in the 1940s, this wonderful film noir mystery traps a lovely Hollywood starlet and four others in an out-of-the-way Florida hotel during a hurricane. Love Shots. By de Loustal and Paringaux. Five moody stories based on 1940s and `50s movie myths and literary legends. Set of three graphic novels. 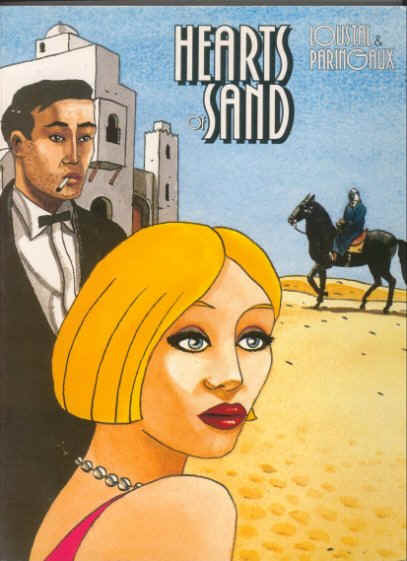 Hearts of Sand: By Loustal and Paringaux. Love and lust on the shores of Africa, French Legionnaires and two women in the decadent 1920s. Catalan, 1991. Companions of the Dusk 1: (The Spell Of The Misty Forest). By Francois Bourgeon. As the Hundred Years War ravages Medieval Europe, a faceless knight leads a pair of orphans into the labyrinthine darkness of the Misty Forest, where they fall under the spell of hellish goblins.